By Sarah Bryan 2 Comments · This content may contain affiliate links. Cinderella is a magical tale that has been told around the world and in many different ways. We all cheer for the girl that is mistreated and in the end finds true love, no matter what country she is from or if she is human, animal or something else. 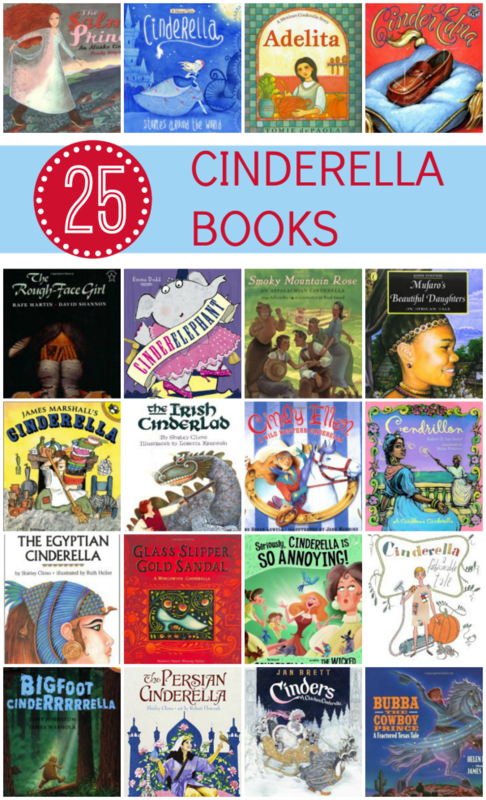 This week we have a list of Cinderella book that will make princesses of all ages smile. The best way to encourage a love of reading is to provide kids with many opportunities to engage with a wide variety of books that are of interest to them. That’s why we share so many books lists on Fantastic Fun and Learning. We want to make it easy for you to find great books your kids will love. Over the years we’ve also discovered some helpful tools for connecting kids and books. Digital libraries are one very handy way to do this. Epic! is one of our favorite online libraries. 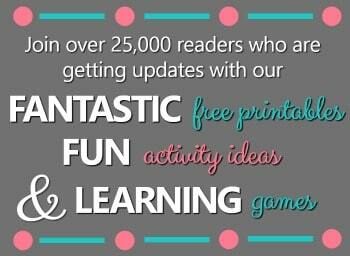 It’s full of over 25,000 books, learning videos, quizzes and more for kids 12 and under…and it’s free for educators. Click here to learn more and sign up. Book Boxes are another fun way to get kids excited about reading. What kid doesn’t love to get a special delivery in the mail?! The crew over at Bookroo finds the best little known books that you won’t already have in your library, and they send them to you each month. Take a peak inside a Bookroo Box here. 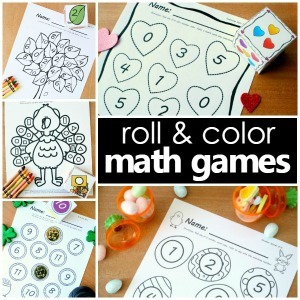 Book-Based Activities are also a lot of fun for kids. Jodie over at Growing Book by Book has saved us all a ton of time and created a full year of Book-Based Activity Calendars so that you can extend the fun with a special book each week. This book is similar in many ways to the Disney movie; the characters and story are the same. The illustrations are not from the movie but a dreamy version of pictures from the movie. This is a beautiful retelling of the story. This is an original story of Cinderella told with colorful illustrations. This does not have a whimsical feel like other books, but this one feels light hearted and fun. Cinderella at the Ball is a great book for early readers. The story is told with simple words and sentences that young readers can read on their own. Cinderella: Stories Around the World tells the version of Cinderella from France, Native American Micmac Tribe, China, and Egypt. Each story is told in a condensed version with colorful illustrations that reflect the culture in that country. Glass Slipper, Gold Sandal is a collection of Cinderella tales from all around the world written into one story. The story includes aspects from the classic story from Mexico to Zimbabwe. The background is full of details that reflect the country the story is showing. Smokey Mountain Rose is a toe tapping, knee slapping, good time ya’ll. I love the way this story is told with southern phrases and terms and you can’t help but read this story with an accent, don’t ya know. The Gift of the Crocodile comes from the Spice Islands in Indonesia. The fairy godmother in this story is a crocodile that helps Damura throughout her life. This story also has an extended ending. After Damura marries the prince we discover what happens to the stepmother and stepsister. The Salmon Princess is a wonderful tale of Cinderella set in the Alaska wilderness. Cinderella is a salmon fisher’s daughter who cleans and cans fish but her world changes when she goes to the Salmon Festival and meets the Salmon Prince. The illustrations are vibrant and show the beauty of Alaska. Cendrillon is told from the godmother’s point of view, who has known Cendrillon since she was born and uses a special wand to help Cendrillon go to the ball. Overall the story is the same other than a few minor changes. The illustrations look like beautiful chalk drawings and show all the colors and vibrance of the Carribeanan. The Persian Cinderella is a combination of Cinderell and Aladdin. Settareh finds a magic jug while looking for clothes for the Princess New Year’s party. The story has several twists that you will not find in the original tale. The book would be great for older kids that are familiar with the original story. Murfaro’s Beautiful Daughters is an African version of Cinderella. Two sisters, Manyara, proud and selfish, Nyasha, kind and caring, both travel to meet the king who is looking for a wife. I enjoyed the lesson that we should be kind and helpful to everyone not just important or famous people. Adelita is a beautiful retelling of Cinderella that includes Spanish words throughout. I love the simple Tomie dePaola illustrations and old story told in a new setting. The Rough-Faced Girl is a Native American version of Cinderella, which I personally love and have used in my classroom. The story is very abstract and great for critical thinking with older kids. In the Irish Cinderlad, Becan is a boy with an evil stepmother and stepsister just like Cinderella. He runs away from home with his magical bull, slays a dragon and saves a princess. There are some similarities between the two stories and several differences that will be easy for readers to spot. In this version Rhodopis is a slave from Greece. Although she is teased by her peers she find joy in a pair of rose red slippers given to her by her master. One day those treasured slippers are snatched away by a falcon. Heartbroken Rhodopsis couldn’t have predicted how that would change her fate. Cinder Edna is the tale of Cinderella’s neighbor Cinder Edna who also has a mean stepmother and stepsister. The similarities end there for the two girls, Cinder Edna is a self-reliant girl that earns extra money mowing yards, plays the accordion and knows 16 different ways to cook a tuna casserole. At the ball, Cinder Edna catches the attention of the prince’s brother and the two Cinders live happily ever after. Prince Cinders is a silly and hilarious twist on Cinderella. This story features a boy Cinderella, a fairy plays the part of the fairy godmother and the prince finds his princess in a very unlikely way. This is a silly version of Cinderella that switches everything around, but still follows the original tale. Bubba the Cowboy Prince is a tale that takes a wild west spin on Cinderella. In this story, Cinderella is a cowboy named Bubba who wants to win the heart of Miz Lurleen at the hoedown. This is a fun story that you can’t read without a country accent. Seriously, Cinderella is so Annoying is a twist on the classic tale which says that Cinderella is a sweet and hard working girl. In this tale the stepmother explains that everyone treated Cinderella kind and that she was the unkind and annoying one. This is a great story to use as a comparison to the traditional tale. This fashionable story of Cinderella is a fun retro telling that includes outfits from designers over the past century. The story is the same but the clothing gives the story a new look. In the front and back cover, illustrations of fashions used in the story are shown with the item name, designer and year it was created which is a fun reference as you read. Cinders tells the classic tale from a chicken coop with beautiful illustrations and fancy chicken costumes. I loved the creative outfits and of course the unique style of Jan Brett’s books. Cinderelephant lives with her terrible cousins the Warty Sisters, they are wart hogs. When an invitation arrives from Prince Trunky, of course the Warty Sisters think they will win his heart and Cinderelephant just wants to go. I love the twist that the shoe Cinderelephant left behind is giant and no one has a foot quite the size of Cinderelephant. Bigfoot Cinderrrrrella tells the legend of a hairy and smelly prince looking for a mate. The only difference is that this mate must be able to knock him off a log and love nature as much as he does. This version of Cinderella is great for compare and contrast. Cindy Ellen is a rootin’-tootin’ good time. Cinderella told with horses, spurs, hoedowns and a rodeo, this is a great combination for the classic tale. I love how colorful the illustrations are and I could not help but read the story with a country accent. What a great resource to have on hand, I will defenitely be using this information. Love it! Thank you! What a great list! We love Cinderella in our house, and will be looking for some of these at the library! Thanks for sharing!